Why Do You Need a Medical Fellowship Personal Statement Writing Service? Getting accepted to a medical fellowship program in your desired hospital and specialty is a challenge. An essential part of making a fellowship program application is your personal statement. 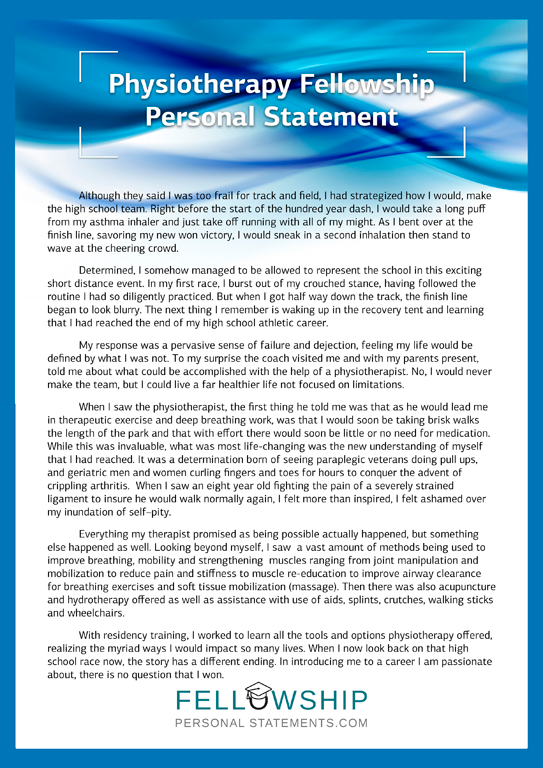 Refer to our medical fellowship personal statement sample, as well as check out how to write an effective residency application personal statement. Apart from ensuring that your personal statement is well structured and written with good grammar, you will need to stress your reasons for applying to the particular fellowship program, and why your education and internship experience makes you an ideal candidate. This is why many applicants turn to a professional medical fellowship personal statement writing service. How Will Your Medical Fellowship Personal Statement Be Developed? Your reasons for making a medical fellowship application must be clear. Why do you want to be accepted for this particular post? Your career plan in medicine should be explained. How you intend to use the specialty knowledge you will gain? Medical fellowships include general medical practice as well as a study into specialist fields. You will have to make details of specific skills stand out strongly. Reference the fellowship program website and application documents to determine the areas you must emphasize. Your personal statement should explain why you wish to attend the particular hospital or medical school. Our team will give the fellowship selection board the best impression of why you want to study and work with them. Why Choose Our Medical Fellowship Personal Statement Writing Service? “Medicine was not a career I had planned to pursue initially. I enjoy the sciences and when first starting college felt that some other choice would be a better fit for me. I was more interested in research and felt I could get to it quicker through a chemical engineering degree. Midway through college, my mind changed and medical research began to hold more appeal for me. Fortunately much of the coursework I had completed met requirements and I was accepted into medical school. It was in medical school that I became interested in gastroenterology, and the clinical side as opposed to research. I had always felt that I wasn’t suited for medicine because of my belief I would dislike the personal aspect of dealing with patients. During medical school clinical rotations I found that I enjoyed that personal contact and the knowledge that I was helping. Of course, research also helps but the gratification you get is much more delayed. I was accepted into an internal medicine residency program, still not quite sure the direction I wanted to take. With a couple of years of residency training under my belt, I chose to pursue a gastroenterology fellowship. I am applying to your GI fellowship program because of its focus on the clinical aspects of the field. There is enough research to satisfy any urges in that direction while I develop my clinical skills. With experienced writers and support staff, we believe you will be satisfied with our services. As standard, your nephrology fellowship personal statement proof read, checked for plagiarism and delivered before the deadline you set. Unlimited revisions can be allowed until you are happy that your statement is going to get you noticed. We have confidence in our service quality such that money back is guaranteed if not fully satisfied. 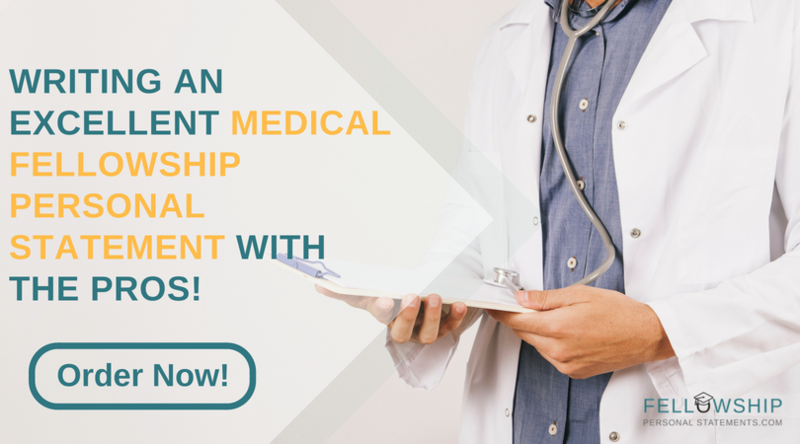 If you want the best chance with your application contact us today to write your medical fellowship personal statement!